I received this book from one of my sons and his family a couple Christmases ago. This wonderful reference covers behaviors in people of all ages, normal and abnormal, including basic traits of those in various professions from bookkeepers to funeral directors to writers. Really, I can open this book anywhere and find an interesting chunk of 'whoa' to help me create characters as authentic or bizarre as I want. And who couldn't use some body language tips to help their characters tell by showing? The profiles included are also helpful in deciding what your characters might do in different situations by the traits you see them as having. Oh, and it's a good read for play as well as work. 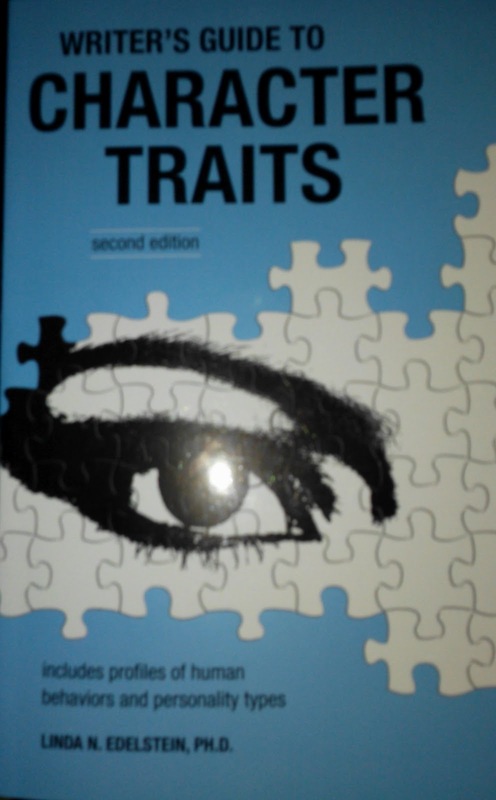 I recommend Writer's Guide to Character Traits, second edition,by Linda N. Edelstein, PH.D as a useful edition to your writer's bookshelf. What are some of your favorite writing references? This sounds great. I often use The Emotion Thesaurus, by Angela Ackerman and Becca Puglisi to find tips on showing emotions through body language. This sounds like a good book to keep on hand as a reference. My favorite writing book is the self-editing reference from Chris Roerden, "Don't Murder Your Mystery." She did an expanded version of this book to make it applicable to all genres and called it "Don't Sabotage Your Submission." That sounds fantastic! It's been on my to-buy list for a while but I'm moving it to the top now.